Billy Currington tells this story with the same ease he displays in all of his biggest hits. 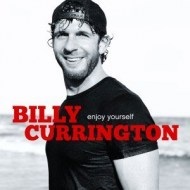 ‘Bad Day of Fishin” is found on the 2010 ‘Enjoy Yourself’ album. “A bad day of fishin’ beats a good day of anything else,” he sings. Tough to argue with that.